Here is a great 5+ acre lot to build your new home! 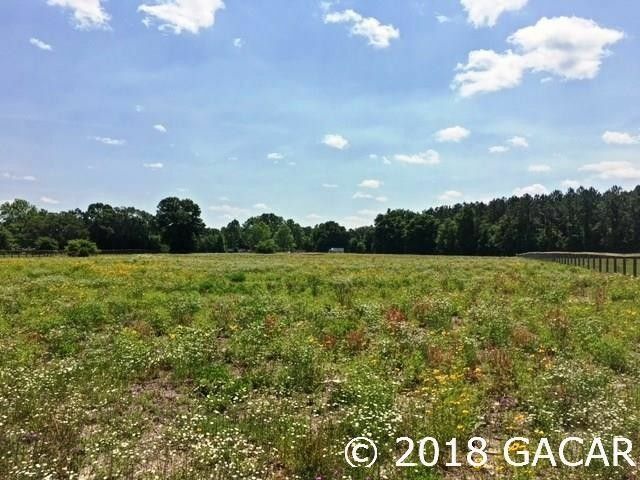 Just over the county line into Columbia County, this subdivision offers paved roads, underground utilities, board fencing around the perimeter of the subdivision and minimal HOA rules - a perfect setting with large hardwood trees along the back of the lot for privacy! Choose any builder you want and make this your next address! Site-built homes only with a minimum of 2000 SF and many large homes already built - a very convenient location to High Springs, Gainesville or Lake City and close to the Santa Fe River, the springs, many bike and horse trails plus O'leno State Park!